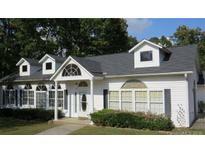 Find Waxhaw, NC Foreclosures for sale. View Photos, Maps and MLS Data Now! Expansive Stamped Concrete Terrace (appr. 26 x 40) in back. MLS#3492370. 1st Choice Properties. I'm sorry the bank has accepted an offer waiting on signatures. MLS#3474329. Keller Williams Union County. New refrigerator and stove to be delivered before closing. MLS#3471398. Pilot Realty & Development. Bring your offers, this one will not last!! ! MLS#3468847. Fathom Realty NC LLC. Seller is less motivated to sell now, has moved back in, only minimum as is offers of 200k + will be considered. MLS#3459907. Keller Williams Union County. Quellin - See attached RPD for additional info those items. MLS#3421215. VentureREI LLC.